Making a high potassium meal or snack is a great way to contribute to your total intake for the day. These recipes all deliver, using foods that are rich in potassium as central ingredients, and keeping everything light and healthy. Let’s not forget delicious, and these are healthy recipes you’ll actually enjoy eating. What a wonderful way to start your morning off, knowing that you’ve contributed greatly to your potassium intake for the day. This oatmeal is topped with wild blueberries, and has half a banana mixed into it for a good amount of potassium. You’ll also be getting the cholesterol-lowering benefit of the oatmeal, antioxidants from the berries, and the cleansing properties of fresh ginger. Proof that oatmeal doesn’t have to be boring, and can actually be a highlight to your day, or at least your morning. Avocados outrank bananas in the potassium department, so when you use them as the base to a dish you’re starting off with a foundation of potassium. They’re also a great source of healthy fat and fiber, so you’re helping to boost your metabolism and burning fat, at the same time helping to make up for any potassium deficiency you may have had. 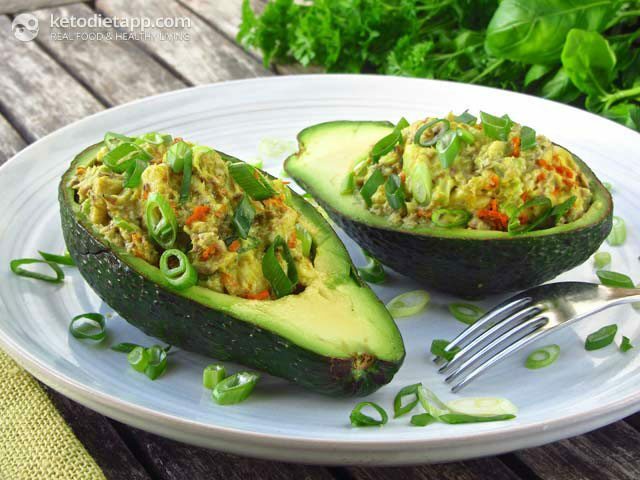 Topping the avocado is sardines, spring onions, and turmeric for antioxidants. The meal as a whole is giving you 40% of the potassium needed each day, taking a big chunk out of your requirement. Take a tour of the delicious side of potassium with these frozen chocolate bananas. Bananas are well-known for their potassium, and when you use dark chocolate as the covering you’re getting antioxidants along with your potassium. The bits of peanut only add further nutrition in the form of protein, fiber, and healthy fat. This is one frozen treat that you don’t have to feel guilty about, and reminds your brain and body that you’re not dieting, but simply choosing healthier options than your average desserts. In Korea each main meal comes with an assortment of side dishes that are meant to be eaten alongside the main attraction. This is one side dish that you can use to help boost your potassium, while providing a lot of flavor to your meal. The main ingredient is dried anchovies, which may be off-putting to those that don’t care for anchovies, but deserves to be tried before writing it off. That’s because they’re mixed together with garlic and honey so the taste is different than just eating sardines. Sardines are a good source of potassium as well as Vitamin B12. 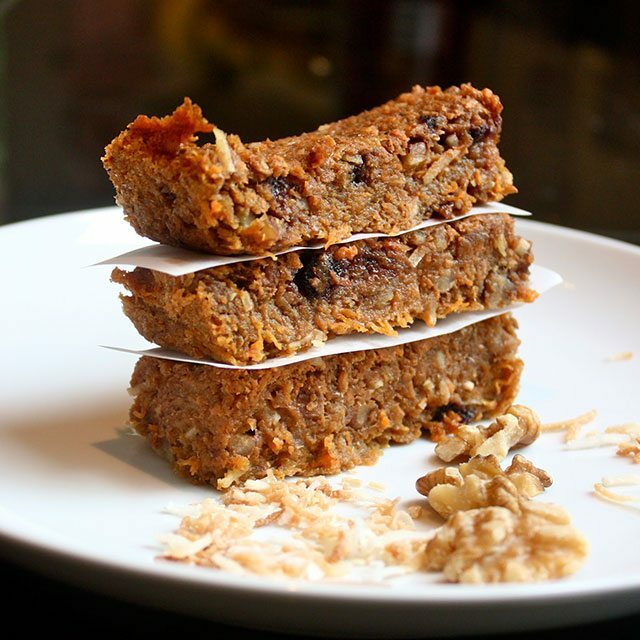 These bars are meant to mimic the taste of the carrot cake version of Larabars. They do a good job of using healthy ingredients that are also good sources of protein. For example, medjool dates and bananas are used, two ingredients that don’t make it into a typical carrot cake, but work nicely here. 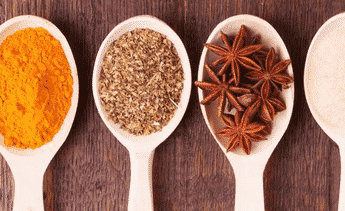 There’s also a nice roundup of spices and seasonings so the flavor comes out just right. There’s cinnamon, nutmeg, ginger, allspice and cloves, so these won’t be short on taste. Use them as a potassium pick-me-up while on the go and they’ll never let you down. This salad uses three potassium powerhouses, so you know you’re getting a good amount of potassium in each bite. Beans, fennel, and chickpeas all provide more than the average amount of potassium, and this salad combines them in a way that makes them taste good together. This would make the perfect first course for a meal that doesn’t include much food that’s high in potassium, as a way of balancing it out. There’s even a handful of spinach thrown in for good measure, adding further to the amount of potassium in this. Gram for gram plantains contain more potassium than bananas, making them a great nominee for chips. These are baked, not fried, keeping them healthy and they only use a small number of ingredients so you’re going to love the prep time, and how easy they are to make. If a recipe isn’t easy to make, the likelihood of it turning out good is not very high, and you won’t want to make it very often. It’s important to have a collection of recipes that you can make easily and get consistent results to keep your potassium level solid. A similar recipe can be made with bananas instead of plantains, but they just don’t have the substance that plantains do. Photo: May I Have That Recipe? These meatballs actually don’t contain any meat at all, but what they do contain is ingredients that are known for the potassium content. 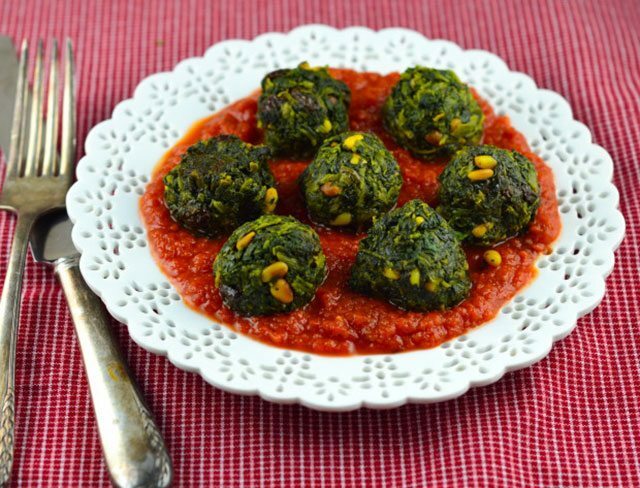 Spinach itself is a good source of potassium, and joining it is one of the fruits highest in potassium, raisins. 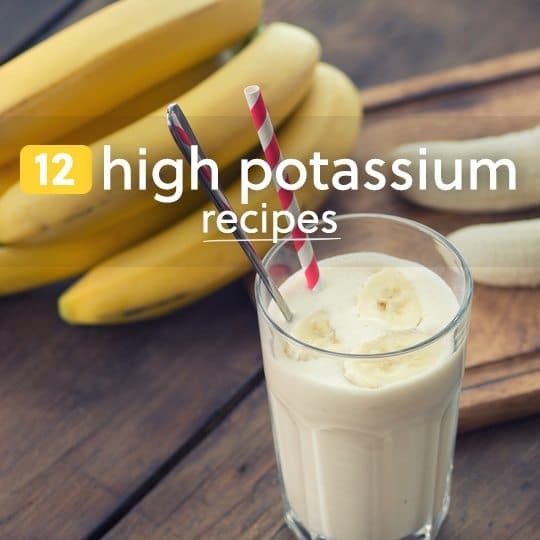 The combination of one of the top vegetables in potassium, with one of the top fruits in potassium is a win-win for those looking to get more potassium in their lives. Add in pine nuts and olive oil and this is one well-rounded dish that will have you forgetting that there’s no meat in it. Serve these over a bed of quinoa instead of pasta and you’ll be getting a ton more potassium. When you start your day with these pancakes you’ll be getting a surprise boost to your potassium level. That’s because there’s an entire banana used in them. That’s one of just three ingredients, the other two being eggs and a gluten-free flour. So you’re getting protein from the eggs, avoiding gluten with the flour, and topping up on your potassium, as well as getting some fiber from the banana. Pancakes never looked as good as they do when they’re actually going to move your forward instead of drag you down. This smoothie is on a mission to make you feel good, and it’s chock full of vitamins and minerals to help you meet your various requirements and recommendations for the day. There are only five ingredients used in this, which includes an orange, carrot, celery, mango, and water. It turns out to have an amazing color, but the eye appeal is only part of the story. You’re getting potassium from each of the ingredients, as well as fiber, and the promised vitamins, namely Vitamin A and Vitamin C, two vitamins that have an antioxidant effect on the body. With just four ingredients, and one of them being lemons, a low potassium food, they’re going to need to bring out the big guns if they made it onto our high potassium recipes list. 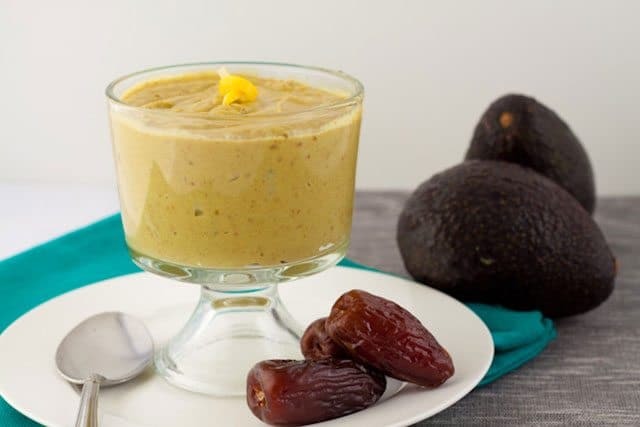 For two of the four ingredients they’ve gone with avocados and medjool dates, two foods that are known for their potassium and help make this pudding creamy, sweet, and delicious. It’s all raw so the prep time is reduced and you can eat this just as soon as it cools off to the point that you’re happy. These bonbons will have you thinking that you’ve gone off track and are cheating on your healthy eating, but they’re actually full of ingredients that are good for you. They get their potassium from the bananas they contain, and they follow that up with antioxidants from the dark chocolate. To finish things off they’ve gone with pistachios, which provide a trio of healthy fat, fiber, and protein. These aren’t the sort of bonbons that gave bonbons their reputation as a fat maker, so you can enjoy a serving with no guilt. the totem pole of Pinterest,Facebook, Twitter, email, gmail and whatever are in the way of reading the article it’s obstructing view and really annoying. thanks. Thanks for the feedback. We will test another layout.